Friday is… BIKE IT DAY! Ben Tweedie, the Local Authority Bike It officer will be in the Nursery to run both a morning and afternoon session. Your child is able to bring in their own bike, trike or scooter, to share and develop their skills. 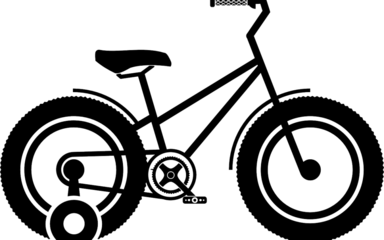 This is a great opportunity for children who would like to try to learn to ride their bikes without stabilisers – Ben will be able to teach them. If you would like to take part in this “2 wheel challenge” you will need to remove the stabilisers and the pedals on your child’s bike before you bring it to the nursery. When removing the left pedal you will need to turn the bolt/screw the opposite way e.g. clockwise, not anti-clockwise as is usual. Parents are invited to come back for the sessions too, which we hope will run from 10.40 to 11.20 am and 2.20 – 3.10pm – weather permitting. If it is a rainy day we will change the times to fit in with any dry spell – please bare this in mind if you intend to return.